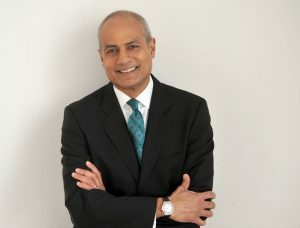 George Alagiah is one of our most respected news presenters. Before going behind the studio desk, he was one of the BBC’s leading foreign correspondents, reporting on issues as diverse as the trade in human organs in India, the murder of street children in Brazil and the war against the Taliban in Afghanistan. He has won several awards for his work including, in 2016, the Charles Wheeler Award for outstanding contributions to broadcast journalism. He was awarded the OBE in 2008. George was born in Sri Lanka and received his early education in Ghana. He attended secondary school in Portsmouth and is a graduate of Durham University.